English conservationist, Damian Aspinall raised a zoo-bred Lowland Gorilla, “Kwibi,” as if he was his own son at his Howletts Wild Animal Park in England. In 2005, Kwibi was eventually released into the jungles of Gabon, West Africa, when he was just 5 years old as part of a conservation programme to re-introduce gorillas back into the wild. After 5 years, in the African jungle, Aspinall decides to search for Kwibi and thankfully records the encounter. 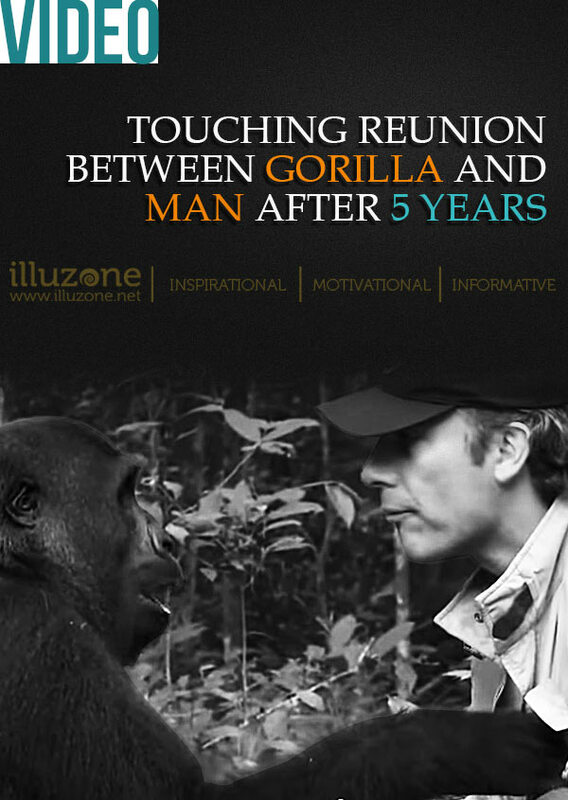 This astounding video depicts the most heart-warming reunion between a gorilla and the man who raised him. Aspinall says he didn’t really expect Kwibi to remember him… but there sure are some wonderful surprises in life.